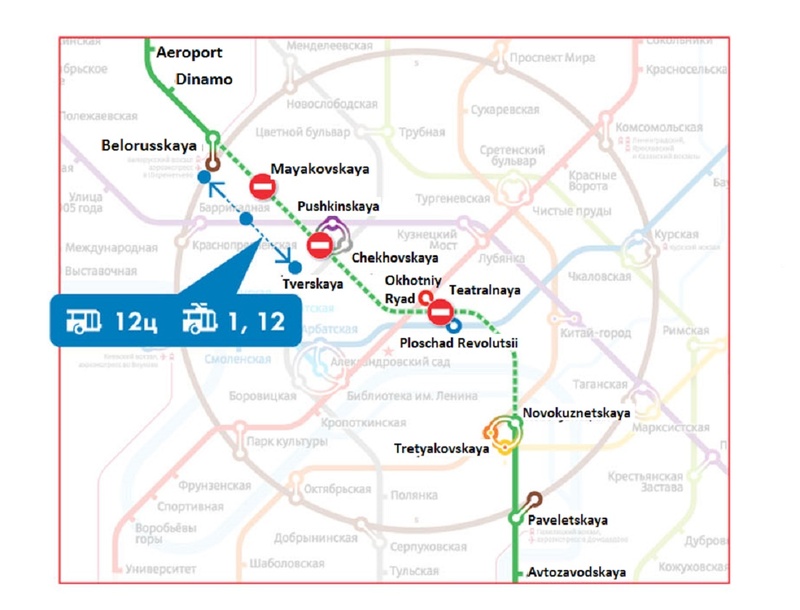 Some plans of repairs in the Moscow Metro have been recently announced. Thus, some stations of the red line await renovation. There will also be held overhaul of ways at five metro lines during this spring. It is reported that stations of Sokolnicheskaya (red) metro line, from Sokolniki to Park Kultury will be renovated during this year. According to the documents, all restoration works will take place at night after shutdown of contact rails. Therefore, renovation will not affect the train schedule. It is supposed that repairers will do ceilings, arches, floors, ceramic decoration and ventilating grates over, restore lost historical lamps and modelled décor, renovate wooden benches, steps, protections of ladder marches and balconies. 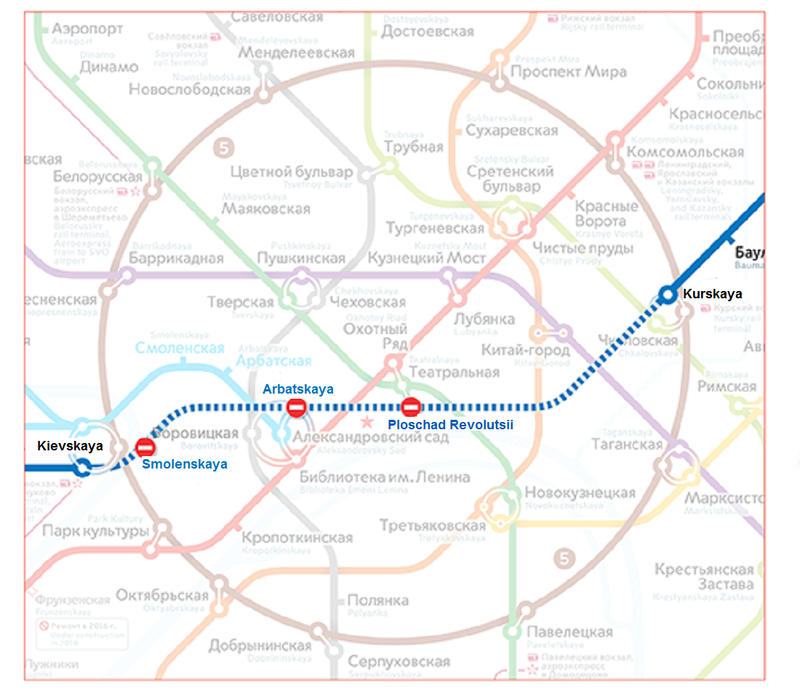 Moreover, different parts of Moscow metro lines will close on repair six times during spring 2015. It will be done make overhaul of rails, cross ties, beds and other elements of the ways. Thus, a part of Serpukhovsko-Timiryazevskaya line will close at the beginning of March, Kalugsko-Rigskaya line will close in the middle of March and Arbatsko-Pokrovskaya line – at the end of the month. 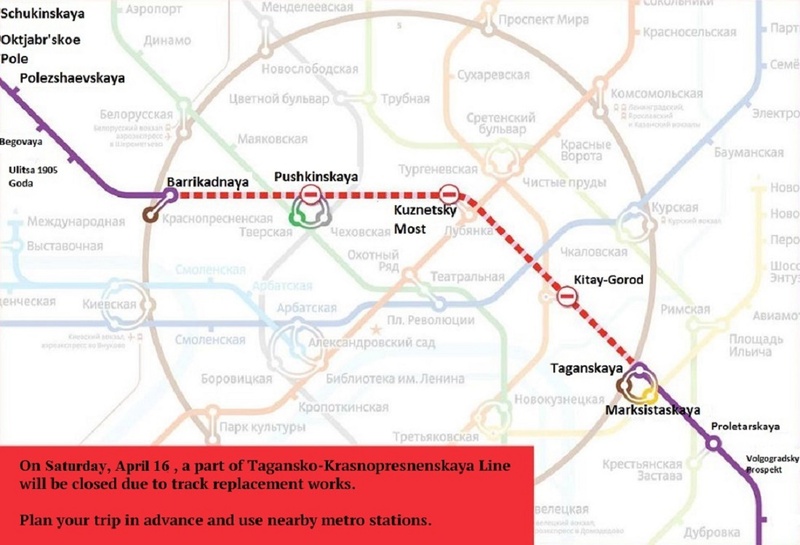 In the middle of April and at the beginning of May parts of Sokolnicheskaya line will be repaired, and at the end of May, works will pass at the part of Zamoskvoretskaya line. In general, different parts of the subway will be closed for repairs for 20 times during the year.